Joe Ambash is the managing partner of the Boston office. His practice includes all aspects of employment law, including labor-management relations, employment discrimination and wrongful discharge litigation, and preventive labor relations. He also has an extensive practice training managers in all areas of employment law compliance. Joe represents management in a broad range of industries, including health care, higher education, financial services, retail, media, sports and state and local government. He has represented clients before the National Labor Relations Board (NLRB), the Massachusetts Division of Labor Relations, the Equal Employment Opportunity Commission (EEOC), the Massachusetts Commission Against Discrimination, the United States Department of Labor (USDOL), and in Massachusetts state and federal courts, the U.S. Courts of Appeal and the United States Supreme Court. 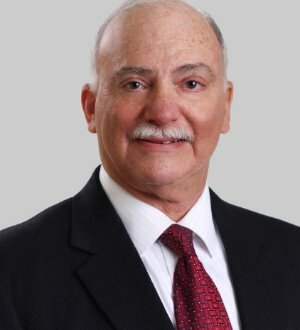 Joe's experience in labor-management relations extends over several decades and involves representing management in representation cases, unfair labor practice cases, strikes and other labor disputes. He represented Brown University in the landmark NLRB case holding that graduate students are not employees under the National Labor Relations Act (NLRA), and he represented New Process Steel in the Supreme Court case invalidating decisions by a two-member NLRB. Joe is a frequent lecturer on labor and employment topics. He was listed in the Massachusetts Super Lawyers since 2013, Chambers USA since 2015, America's Leading Business Lawyers in 2013 and he has been recognized in The Best Lawyers in America since 2006. Joe has been selected for inclusion in Who's Who Legal USA - Management Labour & Employment by the researchers at the International Who's Who publication. He was also selected for inclusion in The Legal 500 – Litigation in 2015.